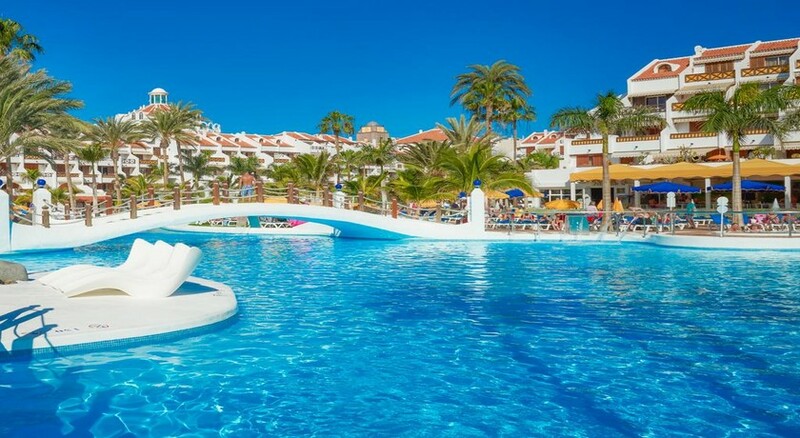 The Apartments Parque Santiago III & IV is a family-friendly hotel on the beach of Playa de las Americas. Well-appointed rooms, facilities for fun and recreation is what makes it a tourist’s favourite. A pizzeria, restaurants, pub, bar, juice bar and poolside bars offer meals, snacks and refreshments to guests all day long.Just a stone's throw away from delightful bars, clubs and restaurants, and with a fun aqua club where tiny tots can soak in water and have fun on amazing rides and slides, Apartments Parque Santiago III & IV is the perfect retreat for your holiday in Playa de las Americas. Parque Santiago III & IV Apartments is right on the beach and you can just walk into the water 200 metres away. Most bars, clubs and restaurants are within a 15 minutes’ walk. 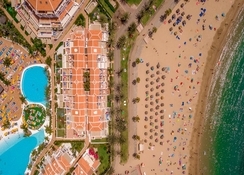 The hotel is 24 km from Tenerife South airport and 81 km from Tenerife North. There are duplex apartments, studios and one bedroom apartments in Parque Santiago III & IV. These come with en suite bathrooms, kitchenette and a balcony or terrace. Apartments with bed room have a lounge with sofa bed. Maid service is available six times a week. The hotel has restaurants, a cafe and pizzeria, a lounge bar, a pub, a juice bar and a pool-side bar serving drinks and snacks. It also has self-catering option where you can cook food at the kitchenette. 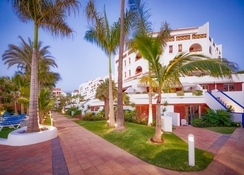 The hotel has four swimming pools and a large sunbathing terrace, great venues to relax in absolute bliss. Kids can splash in their separate pool or have fun at fun aqua park with mini-waterslides, splurging waterjets and tumbling water features. The resort centre with a host of activities is a short walk away and there are a number of restaurants, cafes and shops in the vicinity. Piramide de Arona convention centre: 250 metres. Area: Bandstand area/ Gymnasium of Parque Santiago III. The Gymnasium will not be closed. Noise level: Mid-level the first two days of the work and low-level for the rest of the duration. It has everything required for a great break.